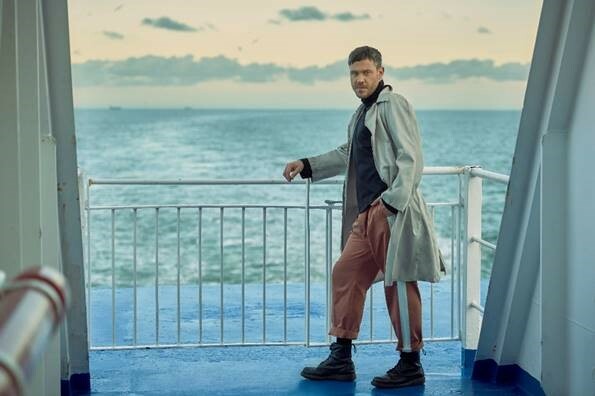 UK pop icon Will Young releases brand new single ‘All The Songs’ today, the first track to be heard from his long awaited seventh album Lexicon, set for release on June 14. ‘All The Songs’ arrives with an incredible, agenda-setting video directed by the legendary fashion photographer & director Rankin. An upbeat, piano-led, dancefloor-tilted heartbreak anthem, ‘All The Songs’ serves as the perfect introduction to an album built around the joy of pop music, “I always say that there’s no point in doing it if it’s not joyous. That’s been my motto: do it the way you want to do it.” A motto by which to live….. The 40-year-old South London local hasn’t spent the time between albums twiddling his thumbs. Young has been working as an active and vocal campaigner for the LGBTQ movement, including the promotion of all-inclusive children’s books on Cbeebies, the second season of his hugely popular LGBT podcast Homo Sapiens (which he co-created and co-presents with filmmaker and friend Chris Sweeney) is out now and he’s already booked live dates across the summer, playing Tom Kerridge’s Pub In The Park events, a celebration of the best food and music the country has to offer, as well as at Gloucestershire’s Party At The Castle and a show at Leicester Racecourse. Will also confirms a huge 21-date UK tour, kicking off on 1 October at Torquay’s Princess Theatre and culminating at Blackpool’s Opera House, which includesa night at London’s historic Eventim Apollo. Tickets go on sale at 9am on Friday 29th March, but fans that pre-order the album from the Will Young Official Store will be able to access the tour ticket pre-sale from 9am on Wednesday 27th March. Will Young has spent the last two decades at the forefront of pop after bursting onto the scene in 2002. His expansive career has culminated in four No.1 and two No.2 chart-topping albums, two BRIT Awards and four UK No.1 singles.